I have some letters to share. 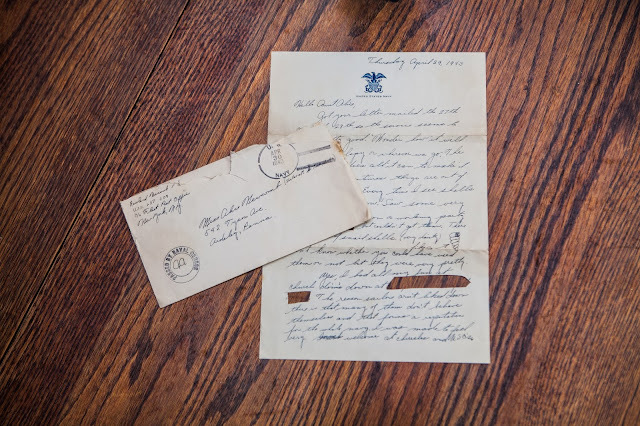 Letters that reveal the history of my family ancestry. Letters reflecting the history of the United States of America. written by a soldier from the 5th NJ regiment during the Civil War. 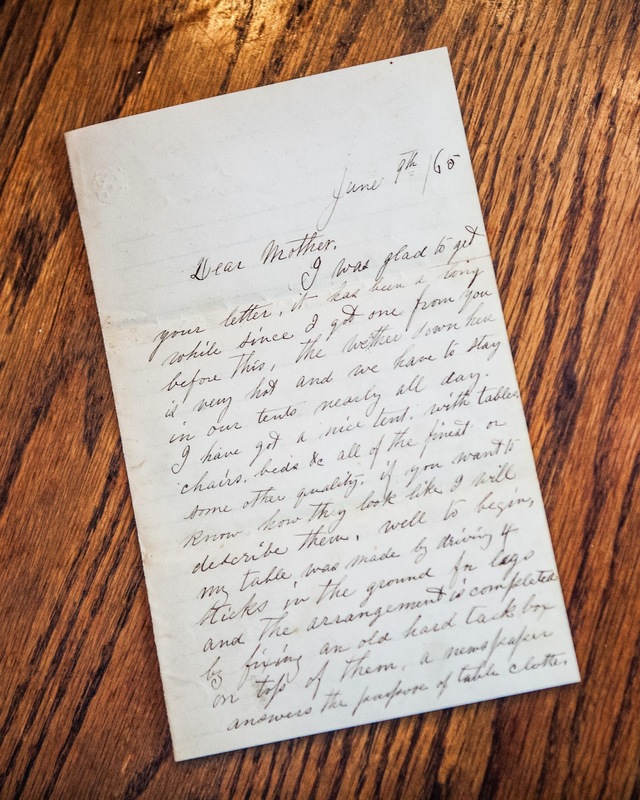 He was my great, great grandfather, James M. Welch. and was wounded at the Battle of Gettysburg. written by a sailor on the USS Chicago during World War I. He served the duration of the war. written by a Sailor on an LST during World War II. He was my father, Rowland M. Newcomb. The holes represent the work of a censor. written by a naval officer on the USS Bordelon during the Vietnam War. remained in the Naval Reserves for most of his adult life. There were no letters home at that time. I now have a son-in-law serving in the US Navy. is currently en route to where he will be stationed in Virginia. His wife will keep his letters. I've spent many hours on my family history, so this gives me goosebumps. It's so cool you have these!!! Talking about all kinds of letters - I have kept all of the letters that my daughter wrote me while she was serving a mission in Ireland back in 2000 - can't bear to part with them. I can see her surprise after I am gone and she finds the letters. Lots of fun, it offers one a chance to examine the personal side of people we may not have met. My husband can also trace his family history back to the Mayflower! Such interesting pieces. 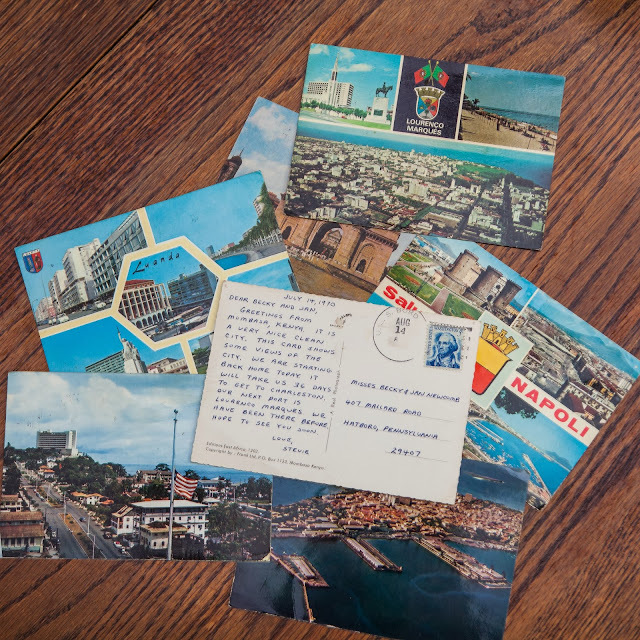 I think it's quite remarkable that you have these letters and postcards after so many years. I know a lot of people who lost valuable treasures like them. And that censoring part is very interesting too. They literally cut into the paper. Wow, they really did read everybody's outgoing mail on your father's ship. Imagine going through all those letters and snipping out individual lines. 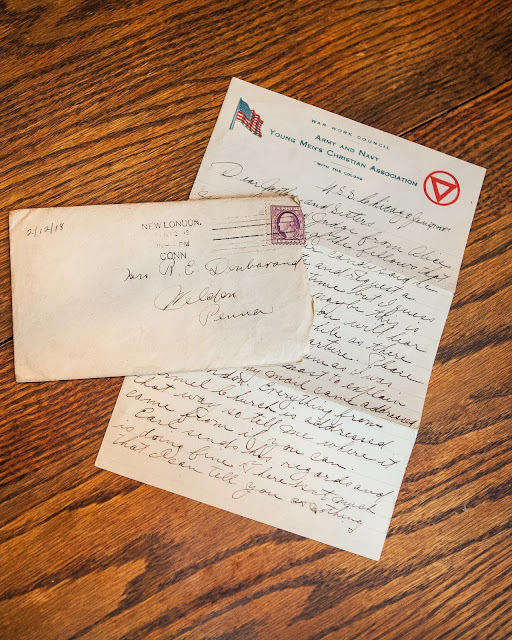 These are wonderful historic keepsakes, how lucky you are to have them. This is wonderful. I know an attorney that has letters like these matted and framed (hermetically sealed?) and they are beautiful works of art. For sure handwriting is a lot art. The art of knowing the soul of someone. I have been making all my Christmas gifts for my family for several years. Someone's comment about framing old letters gave me an idea for something different this year. Love the photo of the postcards. That's a fantastic post, Rebecca - and so aptly titled. Even if you had no other documentation about your family, you would have a rich history in those letters and postcards alone. And the tradition continues - that is so cool! It's a piece of history here! great post, I'm impressed!